China Summons U.S. 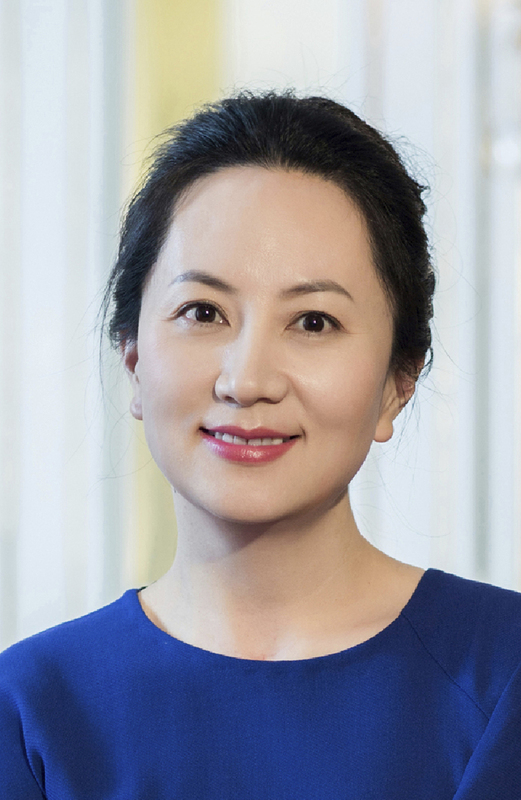 Ambassador Over Arrest Of Huawei CFO Meng Wanzhou was detained during a layover in Vancouver. The U.S. government says a subsidiary of Huawei violated U.S. sanctions with Iran, and that the company deceived financial institutions. The chief financial officer of China's biggest telecom equipment maker has been detained in Canada. She faces extradition to the U.S.
China's Foreign Ministry summoned the U.S. and Canadian ambassadors over the weekend to protest the detention of the chief financial officer of tech giant Huawei Technologies. The ministry said U.S. actions have violated the "legitimate rights and interests of Chinese citizens and are extremely bad in nature," adding that "China will take further action based on the U.S. actions." According to China's state-run Xinhua News Agency, Vice Foreign Minister Le Yucheng "lodged solemn representations and strong protests" with the U.S. ambassador to China, Terry Branstad. Le called Meng's detention "extremely egregious," and said the U.S. must "immediately correct its wrong actions." Meng's arrest has become a flashpoint in relations between the U.S. and China, and came on the same day President Trump and China's President Xi Jinping agreed to a 90-day truce in a trade war between the two countries. Huawei is China's largest telecom equipment maker. Its sales recently surpassed Apple, making Huawei the world's top supplier of mobile phones. U.S. intelligence agencies have warned Americans not to buy Huawei phones because of concerns over espionage, and pressured allies to not use Huawei technology. On Friday in a Vancouver courtroom, the U.S. began a case alleging Meng hid Huawei's business ties with Iran. Prosecutor John Gibb-Carsley, a lawyer with Canada's Justice Department, said in the court hearing that a warrant had been issued for Meng's arrest in New York on August 22. He said Meng was aware of the investigation and had been avoiding the U.S. for months, reports the AP. Meng then made misrepresentations to the banks in a form of "damage control" to the news agency's article, Gibb-Carsley alleged. The Star Vancouver reports that Meng's lawyer, David Martin, said Skycom was not a subsidiary of Huawei, "saying Huawei once owned shares in SkyCom and Meng sat on the company's board, but the shares in the company were sold after 2009 and SkyCom became an independent contractor to Huawei." Huawei says it has no knowledge of wrongdoing by Meng, according to The New York Times, which reports: "In a statement released after the hearing on Friday, a [Huawei] spokesman said, 'We have every confidence that the Canadian and U.S. legal systems will reach the right conclusion.'" Meng's bail hearing is scheduled to continue on Monday.